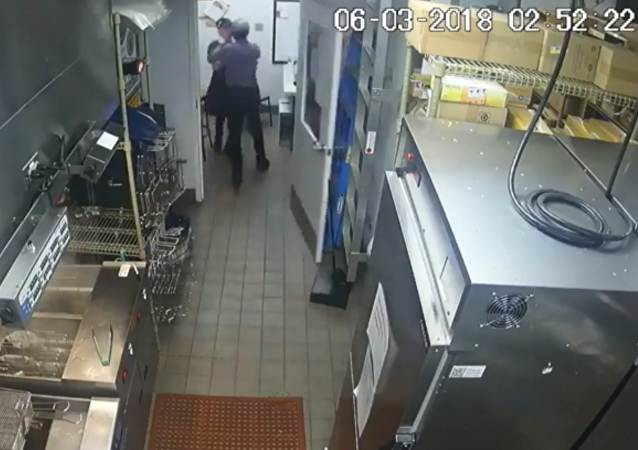 Linda Witkerson, a former manager at a Taco Bell fast food restaurant in Portland, Oregon, was recently sentenced to three years of probation for strangling her pregnant co-worker during a heated argument last year. A far-right march on Saturday in Portland, Oregon, has been shut down by local police for violence in which several protesters have been injured, according to local reports. 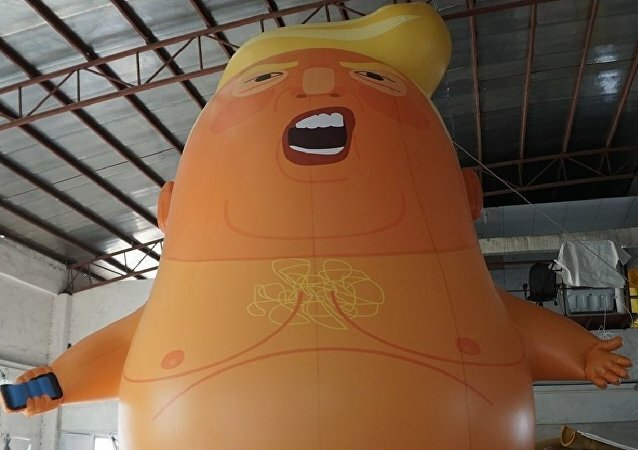 US President Donald Trump’s "zero tolerance" immigration policy earned him the ire of many US citizens who stage protests across the country, occupying space outside the offices of the Immigration and Customs Enforcement agency. 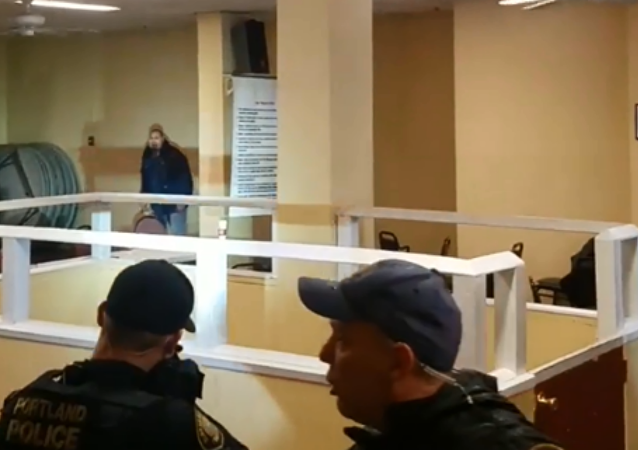 Oregon's Portland Police Department released a statement Sunday calling on the public to avoid passing judgement after a video showing officers killing a carjacking suspect inside a homeless shelter was shared on social media. In an interesting turn of events, words, not weapons, were all that proved necessary to prevent one half-hearted heist from taking place at an Oregon vape shop. 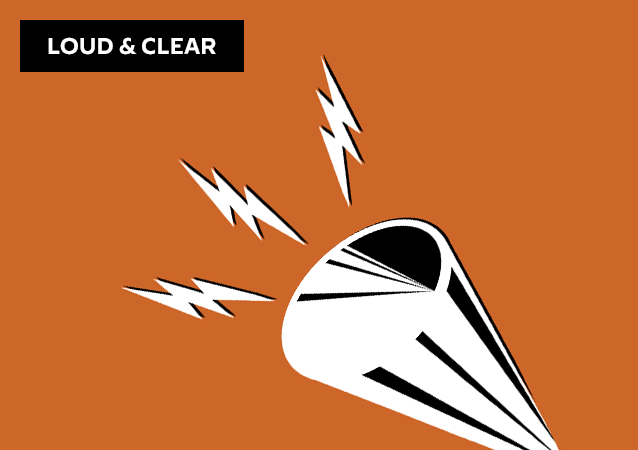 On today's episode of Loud & Clear, Brian Becker is joined by China and Korea expert Keith Bennett. The killer of two men who attempted to protect two women on a train in Portland, Oregon, from his threatening behavior has been identified as a notorious racial and religious bigot with a lengthy arrest record. 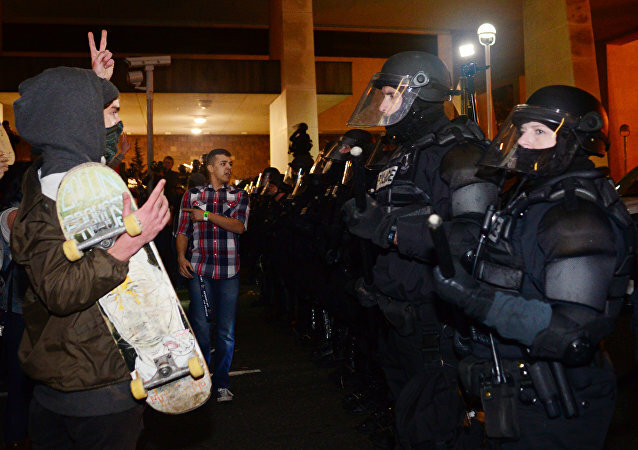 Police of the western US city of Portland declared a curfew for minors under 14 amid the ongoing protests against the election of Donald Trump as the country's next president, the press service of the local police department said Sunday. 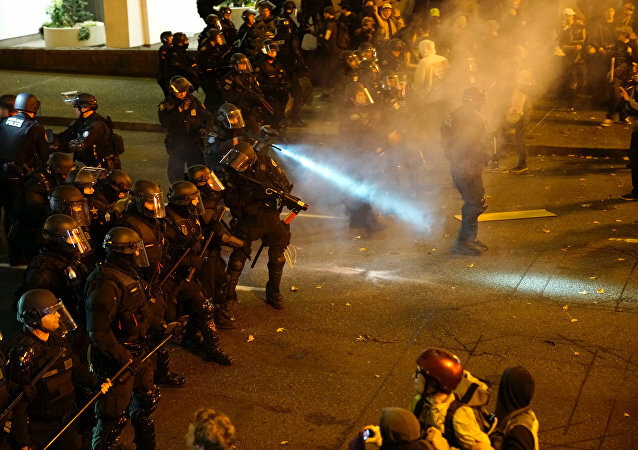 One person was shot during a protest against US President-elect Donald Trump in Portland, Oregon, local police said Saturday. 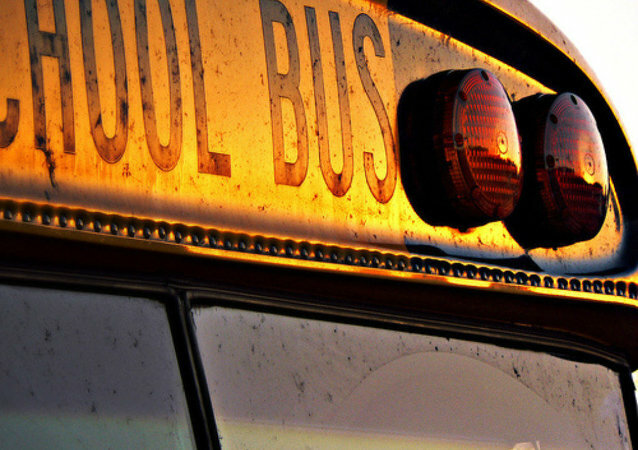 Parents in Portland, Oregon, are questioning the public school system’s decision to ban school bus drivers from playing rap music, with some saying that targeting hip-hop and rap is racist.